Sorry... the 2017 BMW 535 Gran Turismo is no longer being sold as new. 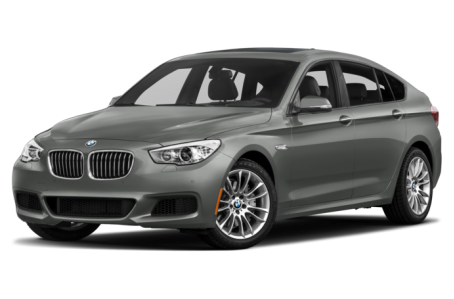 The 2017 BMW 535 Gran Turismo is the liftback variant of the midsize 5 Series. The 535 Gran Turismo’s bodylines fall somewhere between a conventional sedan and a wagon. Nonetheless, it retains all of BMW’s sleek styling cues. Standard features include adaptive Xenon headlights, LED fog lights, power/heated side mirrors, a power moonroof, and 18-inch alloy wheels. The 535 Gran Turismo is powered by a 300-hp, twin-turbocharged 3.0-liter 6-cylinder engine mated to an 8-speed sport automatic transmission. Rear-wheel drive comes standard, while all-wheel drive is available. Inside, the 535 Gran Turismo has premium Dakota leather seating with a 40/20/40-split folding rear seat. Maximum cargo capacity is 63.6 cubic feet with the rear seat folded down. The center stack features the BMW Navigation system with a 10.2-inch display, an iDrive Controller, voice command, Bluetooth connectivity, and a USB port. It can be upgraded with a Bang and Olufsen premium audio system. Standard features include dual-zone automatic climate control, a power tilt/telescoping steering wheel, and paddle shifters. A heads-up display, heated/ventilated front seats, a memory seat, and a rear-seat entertainment system are available as well. Auto-leveling rear suspension comes standard. Available features include a backup camera, a blindspot warning system, lane departure warning, adaptive cruise control, a post-crash mitigation system, frontal collision warning, and pedestrian detection.